A documentary-style film that is definitely more of a slow burn than a shocker. No jump scares, just a creeping sense that something terrible went down in Sangre de Cristo. Well made with interesting characters and a bit of social commentary. Let down by an unnecessary extended ending. 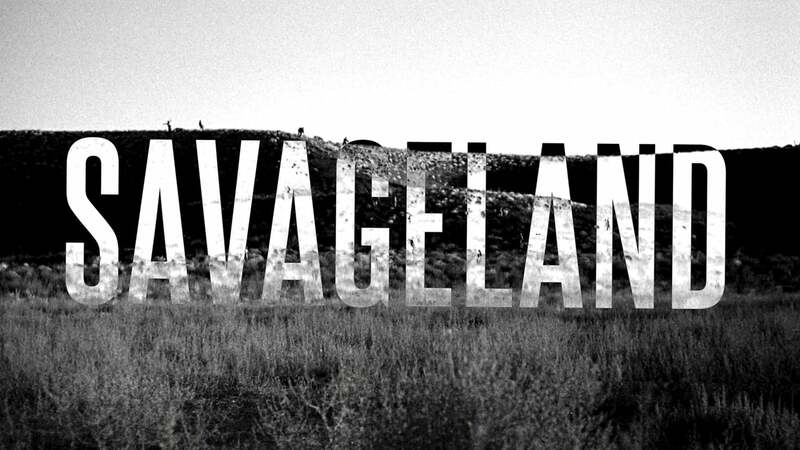 Savageland is available to watch for free with a 30 day free trial of Amazon Prime. If you pick up Savageland expecting graphic scenes of bloody violence, jump scares or scary monsters you’ll be disappointed. That’s not what this film is about. Set after the fact, the film is a retrospective documentary of the events that took place in Sangre de Cristo in June 2011, events that would leave the 57 residents of the small town dead. The first third of Savageland is necessarily slow. Through interviews with key players – local law enforcement, families of the victims, experts, psychiatrists and journalists – a picture gradually builds of a typical small town struggling to survive. There’s the local hunter, good with his gun; a small preschool; a preacher and his family trying to make life better for the small population; and Francisco Salazar, an illegal immigrant. As the sole survivor of the carnage, Salazar was immediately suspected of a one-man killing spree. Despite an insanity plea entered by his lawyer, he was tried and convicted, and sentenced to death. Then new evidence emerged before his statutory appeal: a video interview where Salazar tells his psychiatrist his own account of the events and a single reel of photographs which appear to corroborate his story. There’s a compelling creepiness to Savageland that’s achieved through its slow build up. Once you start to see the photographs captured by Salazar on that fateful night you’re already sympathetic towards the characters. You’ll tense up when the camera zooms in on a face in the bushes or a silhouetted figure on the horizon. You’ll feel for Salazar as he talks to his psychiatrist, trying to explain events that he knows she probably won’t believe. Events that he doesn’t fully understand himself. Unfortunately, it seems like the filmmakers weren’t 100% sure what the storyline was going to be here, resulting in a tacked on section at the end where we learn about other similar events occurring elsewhere in the US. This is unnecessary and detracts from the ambiguity of the rest of the film. It also stretches credibility that the main detractor from the official story believes that the events were perpetrated by the Ku Klux Klan – an idea that isn’t even remotely supported by any of the evidence, including Salazar’s own testimony and the photographs he took. Overall this is an enjoyable film if you don’t mind horror that will twist your mind rather than make your heart race. The production values are high, there’s social commentary in the way Salazar is scapegoated by both the officials and the public, and the pacing is about right. In my opinion, it should have ended about 10 minutes earlier than it did, leaving the audience to draw its own conclusions.